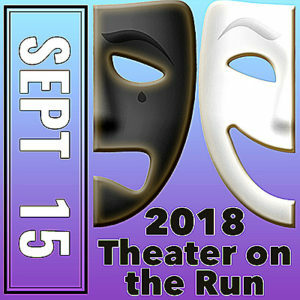 The 2018 Theater on the Run is performed two consecutive Saturdays at 6 p.m., Sept. 8 and 15. Tickets go on sale Aug. 14. Theater on the Run has sold out every year since 2012. HINT: Last year we sold out in just 8 hours. Yes. That means — do not procrastinate. Various venues for this event.